Cooperative Extension Service Family and Consumer Science Educators have been providing educational services to improve the lives of individuals and families in their communities for over 100 years. Yet, name recognition and general knowledge of services provided by FCS faculty and staff in their local service areas continues to elude many residents. Significantly, county, state and national legislators who administer funding for Cooperative Extension Services may be completely unaware of the significant, successful programming developed and managed by FCS faculty and/or county educators. To establish and maintain name recognition for the Extension FCS Programs and raise public awareness of Extension FCS services in local communities, statewide and nationally, NEAFCS began efforts to establish a public awareness campaign in 2000. Extension FCS Educators have access to promotional materials on this web page to help promote and support local and state initiatives in nutrition, healthy lifestyles, food safety, financial management, parenting and environmental health enable citizens to gain knowledge and skills to lead full and productive lives. Extension FCS Educators need to adopt creative marketing strategies to maintain and expand the reach of Extension FCS programming and to show pride in their profession. 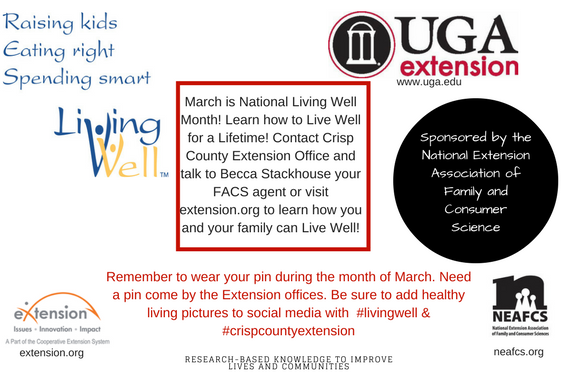 Personalize your Living Well Month Public Service Campaign using the materials listed below or use your creativity to help us expand options for our NEAFCS members. When planning, use this Madison Avenue advertising adage: “Get the message out 10 different times, 10 different ways.” Identify one to three target audiences and develop a plan. Keep it simple, so it stays manageable. Include a Living Well logo with the slogan, “Raising Kids, Eating Right, Spending Smart, Living Well” on your email signature. 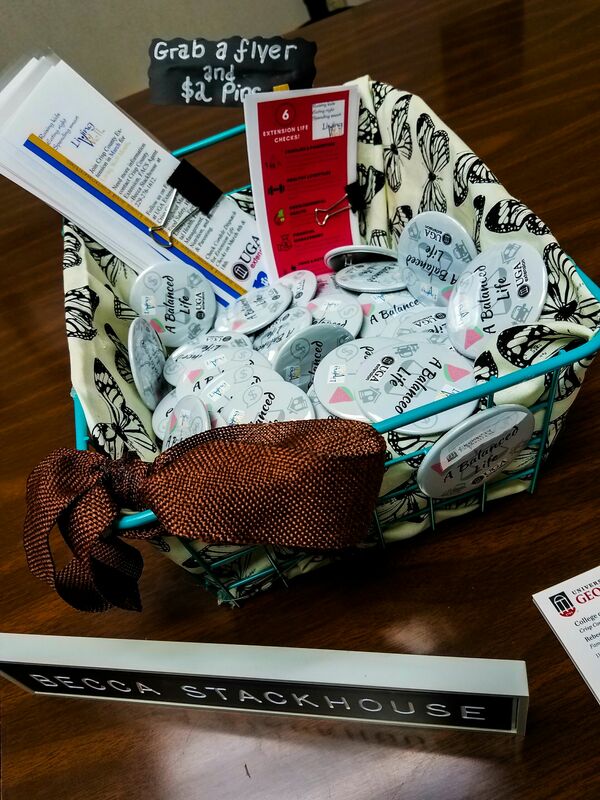 Wear your NEAFCS lapel pin to community meetings and on your Extension apron during your public workshops. Got the idea? Please see more options for a Living Well Month Project in the links below. Here are some of the original Living Well promotional ideas to help you start building your own plan. When you interact with city or county government officials draw attention to the educational programs and services provided with a proclamation tailored to your area. Edit this news release template to reflect your programming. Distribute to media and use in your county or program newsletter. Schedule a live interview with a local radio station DJ or news reporter. Use the Living Well Month themes in displays at community events, or your office. Include in handouts at public workshops. This bookmark may be edited with Adobe Acrobat Pro to add your local website. Bookmark, Living Well Month Single or double page can be produced. Use Living Well logos in Graphics Library in your email signature and other documents. Prepare and share a local FCS Program Fact Sheet or Impact Statement with stakeholders and/or local elected officials. Be creative sharing ways that Extension FCS Educators serve their communities. Revised by NEAFCS Public Affairs Advocacy Subcommittee members and Glenda Hyde, NEAFCS Vice President for Public Affairs, 12/15/2016.